Welcome to Salerno Duane Jeep Chrysler Dodge of Summit NJ, home to one of the premier Jeep Chrysler Dodge dealerships in the Morristown NJ area. We are proud to be one of the finest Jeep Chrysler Dodge dealers serving our friends in and around Morristown NJ. Morristown Jeep Chrysler Dodge dealership, Salerno Duane has been serving the Morristown NJ area for many years. Offering special deals and incentives on new and pre-owned used Jeep, Chrysler, and Dodge cars and trucks. Not sure what Chrysler brand suits your needs? 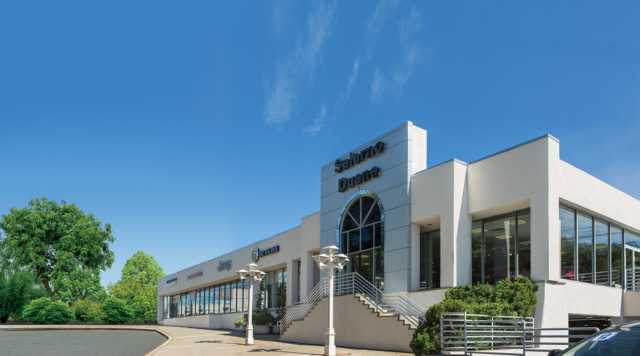 Visit Salerno Duane in Summit NJ and browse to our selection of Morristown Jeep, Dodge and Chrysler cars. Looking for a Brand New Jeep Wrangler in the Morristown area? Browse our New Car Inventory online and check out your NJ 4×4 Jeep Off-Road options! Contact our Morristown Jeep Dealers To Find Out About The Best Deals Today! Our Morristown NJ Jeep Dealer offers a Price Match Guarantee. At Salerno Duane in Summit, if you find the same car for less somewhere else, we will beat their price! Caring about our customers and ensuring that they have an exceptional buying experience is our main concern. Our used car inventory is carefully selected with reliable and affordable Jeep, Dodge, Chrysler, or other makes of cars. Browse our Morristown Used Car Inventory online today and benefit from our used Jeep deals near Morristown! Morristown Jeep’s service department offers online appointment scheduling, special Jeep, Dodge, Chrysler coupons and the ability to ask a Service advisor a question. Our Certified professionals are here to properly service your car, answer any questions and treat you right. All Jeep, Chrysler, and Dodger customers receive FREE lifetime service loaners and shuttle service when their car is being serviced or repaired. Visit Morristown’s online Jeep service department to schedule your appointment today!